Most Renaissance chests were given to newly betrothed couples to celebrate their marriages and furnish their new homes. The recessed flat tops, curving acanthus leaves, and straight sides show the influence of classical Roman sarcophagi. 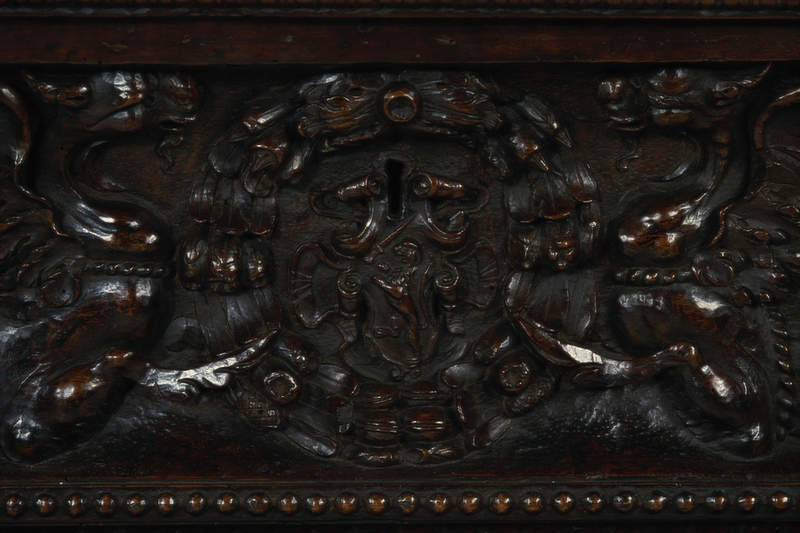 Both chests are supported by crouching lions and decorated with deeply carved, scrolling foliage and pronounced architectural motifs. 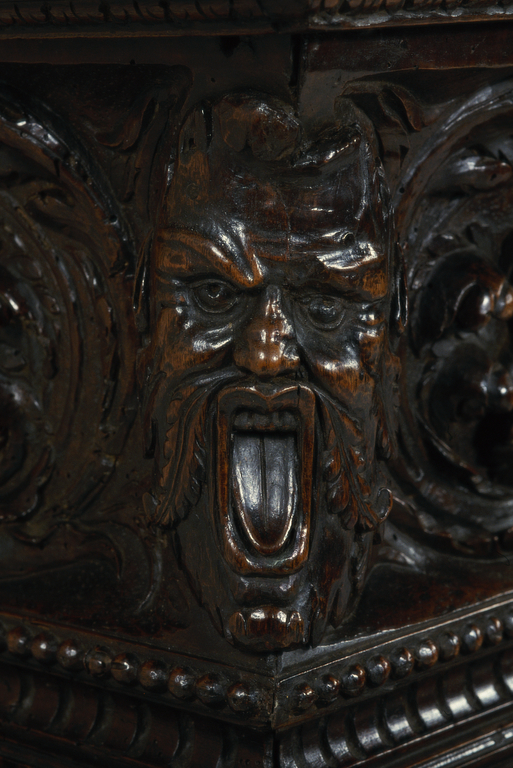 The bizarre grimacing masks and grotesque figures with elegantly contorted forms are typical of decoration in the Mannerist style. 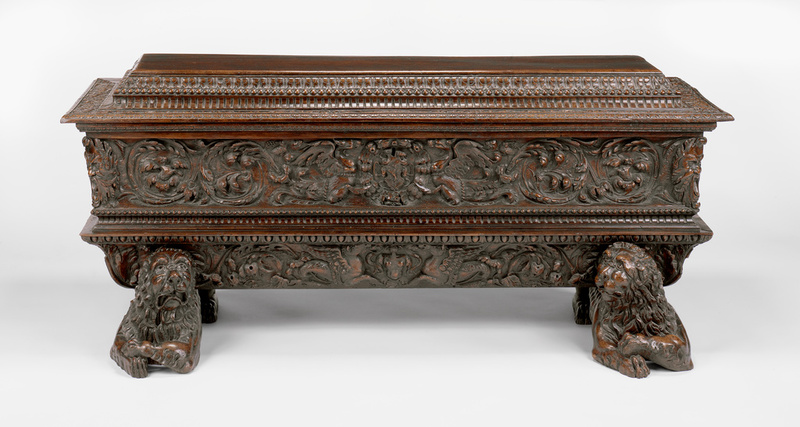 Each chest was carved from a single tree trunk.